Find 'Security, Identity & Compliance' section and click 'IAM' link. 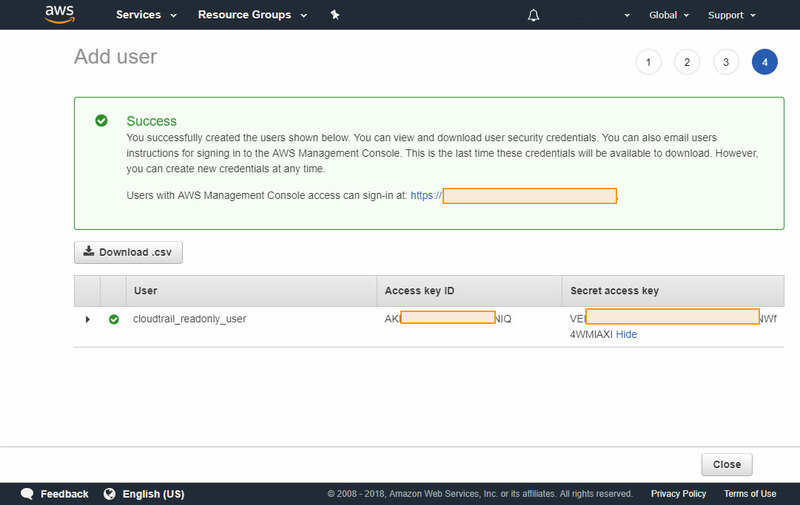 Click ‘Users’ link to see the list of all users (https://console.aws.amazon.com/iam/home?#/users). 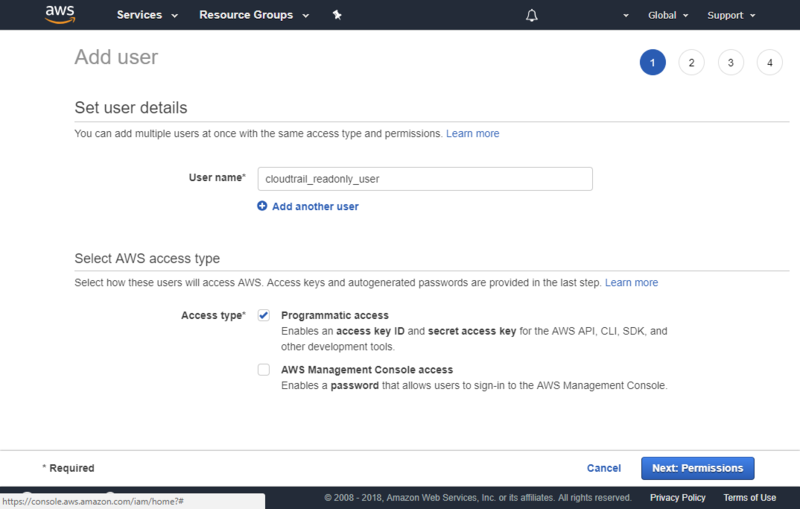 Click 'Add New User' to open 'Set user details' page. 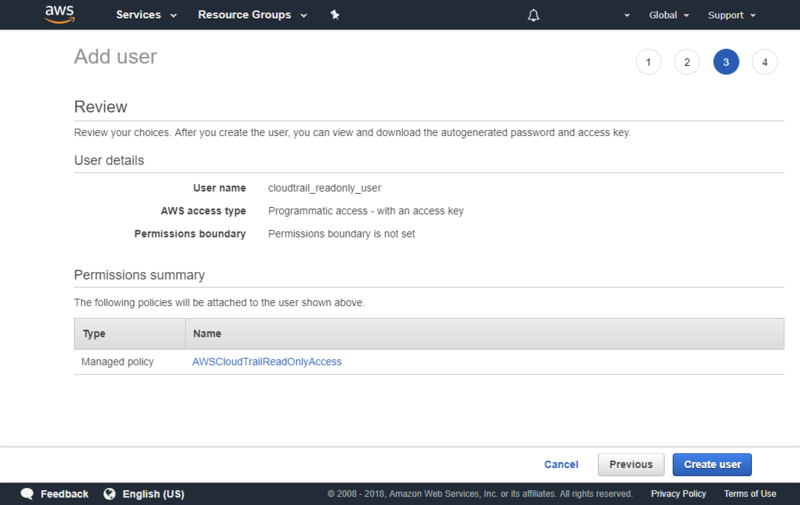 Set user details: specify user name (for example, 'cloudtrail_readonly_user') and select 'Programmatic access' option and finally click 'Next Permissions' button to go to the 2nd step. 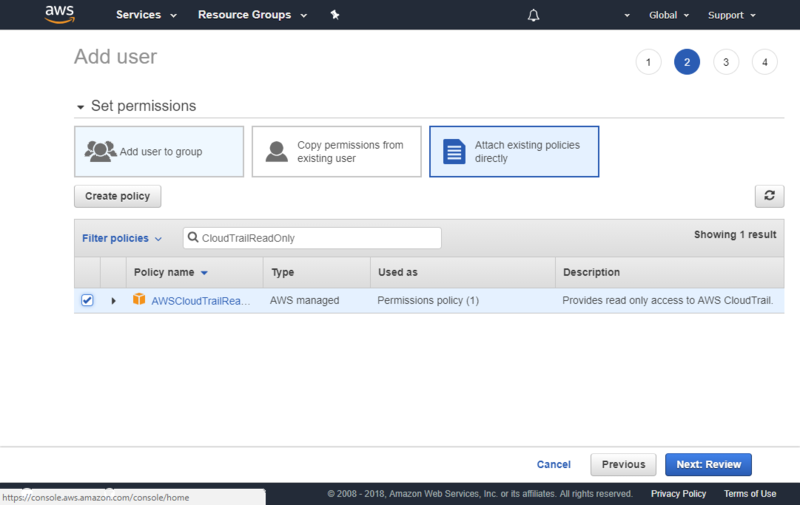 Switch to 'Attach existing policies directly' tab and find 'AWSCloudTrailReadOnlyAccess' permission to select it. Finally, click 'Next Permissions' button to go to the 3rd step. On the last step 'Access Key' and 'Secret Key' are presented. Сopy these keys, go back to the dhound installation form and paste the keys to the required fields.